Easily cook mouth-watering roast dinners for your friends and family with the spacious oven. 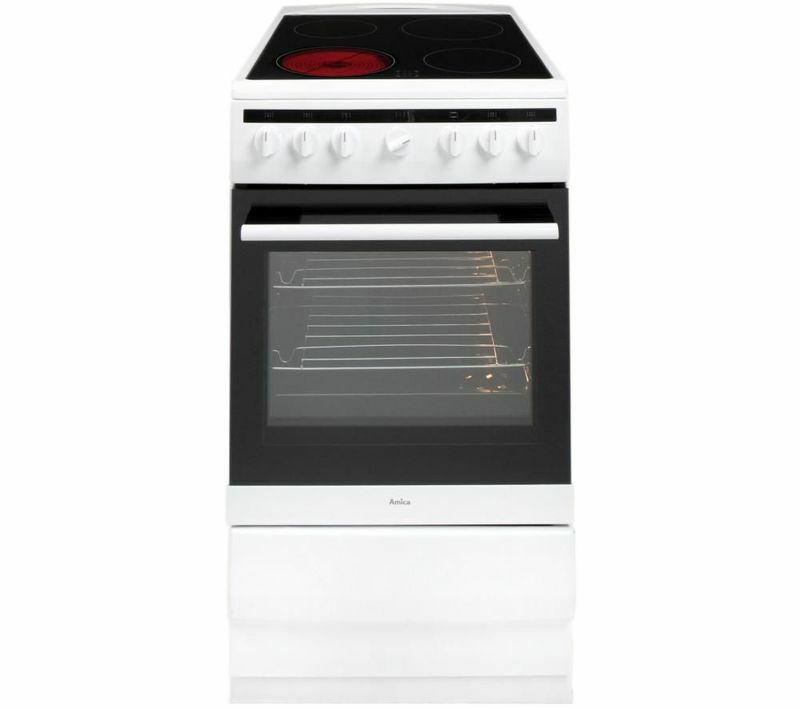 With a generous 65 litres of capacity, this oven is ideal for preparing any meal. This Amica 508CE2Ms(W) has a 2000 W Supergrill so you have plenty of room to grill any dish, from fish fillets to kebabs. With its ceramic hob surface and quick HiLight hob zones you can effortlessly cook up the perfect stir-fry in no time. A variety of hob burner sizes means that you can stir, boil and fry with optimal efficiency. Avoid wasting heat and energy when checking your food thanks to the integrated oven light. The oven light illuminates the entity of the oven cavity, so you can easily see through the triple glazed glass door to check on the progress of your meals.